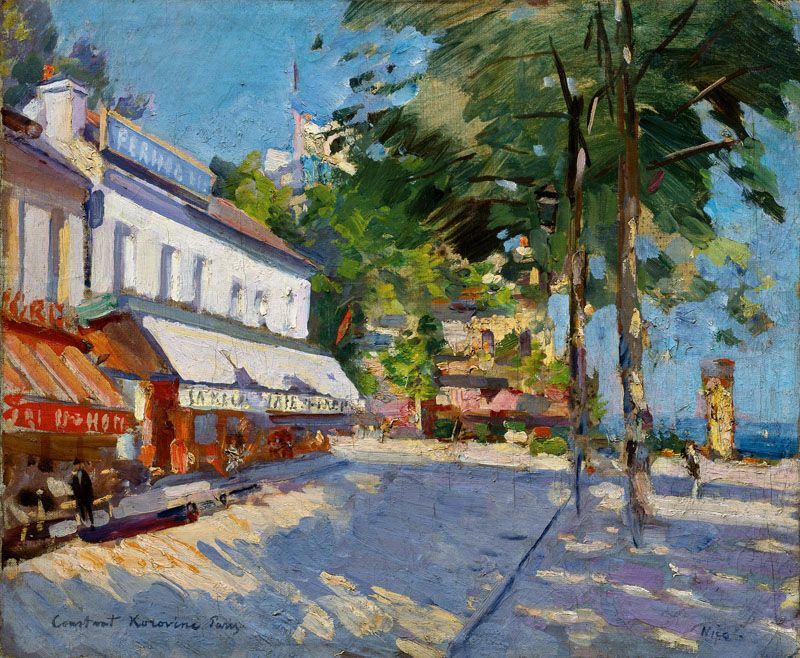 Konstantin Korovin, Street Scene in Nice, oil paint on canvas 46 x 55 cm. Signed ‘Constant Korovine Paris’ at lower left, identified as ‘Nice’ at lower right. If there is one region which have appealed to artists like no other one is the Provence. The incomparable light of the South, its landscapes, colours, cooling off pour out by its exquisite shaded nook are the privileged topics of this exhibition. Bonnard, Derain, Friez, Korovin, Picabia, Signac and Vlaminck illustrate the splendour of the Mediterranean landscapes.